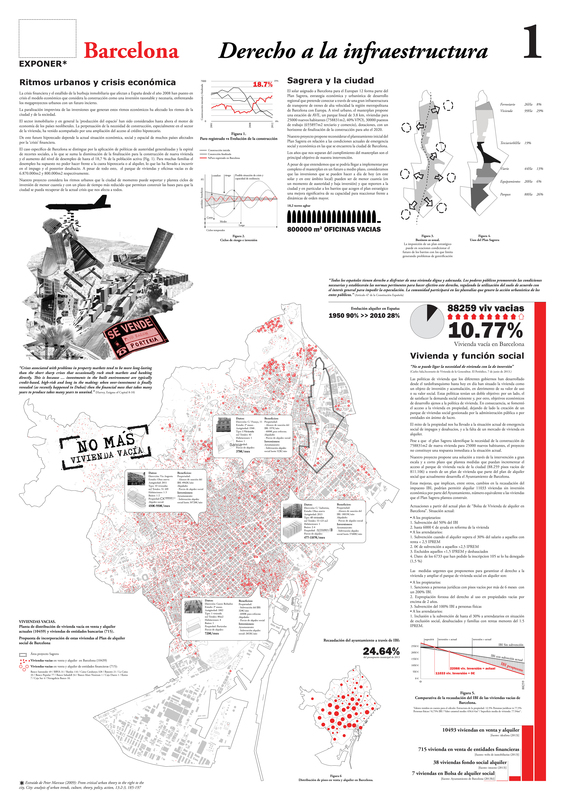 The position of the Plan Sagrera should be confronted with the urban rhythms that Barcelona can currently face, namely, a situation of socio-economic emergency. 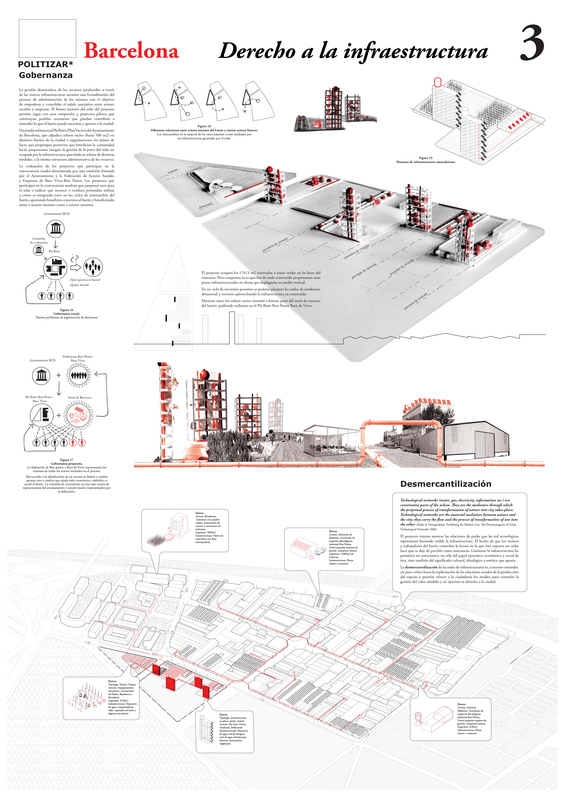 Our project, rather than building new housing, proposes smaller cycles of investment, both reduced in sum and time frame, to build the set of foundations with which the city could react and recuperate from the current crisis. Financial crisis: with the crash of the real estate bubble, the long-standing economic model that considers construction a reasonable and necessary investment has proven to be arguable. Housing paradox: the critical situation of many families confronting eviction because of their unpaid loans, coupled with the huge stock of empty flats and offices, uncovers an unjust system. Gentrification: the social indicators of the neighbourhoods object of the plan are lower than average. The introduction of a metropolitan infrastructure such as the Plan Sagrera might have negative consequences on these local areas whose capacity at the moment does not allow them to compete with the opening of new markets. Housing as social function: at a city scale, we propose improving the current housing municipal policy concerning empty flats. By changing the taxation of properties, the government could easily rent around 11000 homes with no financial investment, which approximately corresponds to the number of homes planned by the Sagrera’s Masterplan. Capability through infrastructure: in order to make the local socio-economic structure more resilient and more grounded in its own capability of self-management, we propose an infrastructure that creates cycles of transformation of local waste into neighbourhood resources. These new resources are collected in the plot object of the competition. These cycles create interdependency among the actors of Bon Pastor and Baro Viver neighbourhoods. Empowerment: the new resources will be managed democratically by local residents and workers through a formal association of local businesses and social actors. While some of the cycles could already work just by introducing the needed infrastructure, other cycles will remain open and could create a ‘resource stock’ in order to attract other businesses into the area. Temporal uses for the empty lots, directly connected to the cycles, aim at bringing mutual benefits to the neighbourhood and to new actors. De-commodification: by making the infrastructure visible, the project shows the power relations enacted through technological networks. People controlling the infrastructure that sustains their life will no longer perceive infrastructure as a commodity. 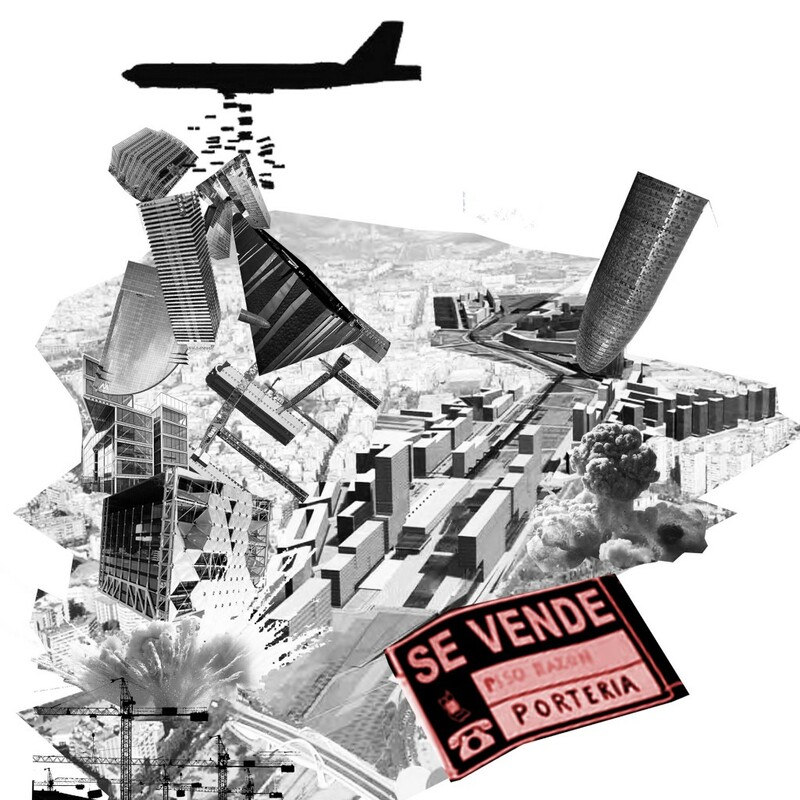 The de-commodification of infrastructure networks is the critical step to disclose the social relations behind the production of space, to give citizens the means to manage the surplus value, and to exercise their right to the city. 2016_Arquerías ministerio de Fomento. Madrid, Spain. 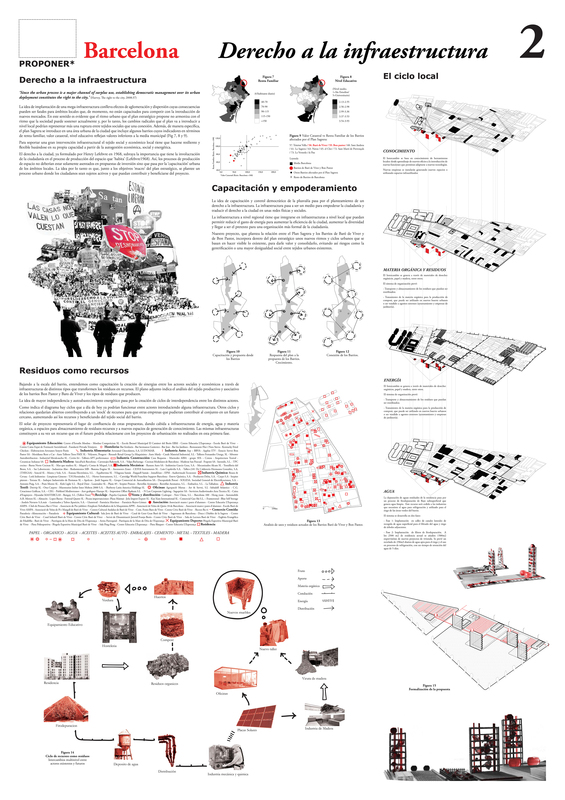 2014_Europan 12 exhibition. Barcelona, Spain.